The Crohn's & Colitis Congress convenes the nation's leading IBD patient organization, the premier gastroenterological professional organization, and the nation's foremost clinical and research thought leaders. Together, we are at the forefront of comprehensive patient care and groundbreaking research and will forge the roadmap toward advancing treatments and cures for IBD. 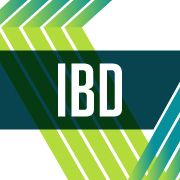 Gain a multidisciplinary perspective on treating inflammatory bowel diseases (IBD). Join health care professionals and researchers at the Crohn's & Colitis Congress® for the premier conference on IBD. Discover different perspectives, leave with practical information you can immediately implement, and hear about potential treatments on the horizon. See you there on February 7–9, 2019, in Las Vegas. Anyone who has one of the following degrees or certifications: MD, ScD, DVM, DO, MBBS, FRCP, MRCP, MRACP, or FRACP. You must be a professional member of AGA or the Foundation at the time of registration to receive this rate. Anyone who has one of the following degrees or certifications: RN, PA, PA-C, NP, PharmD, RD or any other degree with PA or NP as the leading or ending characters; and technicians. You must be a professional member of AGA or the Foundation at the time of registration to receive this rate. Any physician or resident in training as certified by a training program; persons who have a degree or certifications (i.e., BA, BS, and/or BSc) and are enrolled in medical school, a PhD program, or other advanced degree. You must be a professional member of AGA or the Foundation at the time of registration to receive this rate. Any physician, scientist, or researcher and other persons who has a PhD (but does not meet requirements of Physician member level) and is a professional member of AGA or the Foundation. Anyone who has one of the following degrees or certifications: MD, ScD, DVM, DO, MBBS, FRCP, MRCP, MRACP, or FRACP. Anyone who has one of the following degrees or certifications: RN, PA, PA-C, NP, PharmD, RD or any other degree with PA or NP as the leading or ending characters; and technicians. Any physician or resident in training as certified by a training program; persons who have a degree or certifications (i.e., BA, BS, and/or BSc) and are enrolled in medical school, a PhD program, or other advanced degree. Any physician, scientist, or researcher and other persons who has a PhD (but does not meet requirements of Physician member level). Members of the Crohn's & Colitis Foundation's National Scientific Advisory Committee (NSAC) or Chapter Medical Advisory Committee (CMAC). A non-member, non-physician person accompanying a Crohn's & Colitis Congress registrant. Pre-Congress Workshops will take place on Thursday, February 7 from 8:00-11:50 a.m. before the Congress scientific sessions begin. The Pre-Congress Workshops are not included in the above scientific session fees. Pre-Congress Workshops have limited seating and are subject to availability.